This map contains territory of Ukraine. topographic map of Ural calibrated for you. 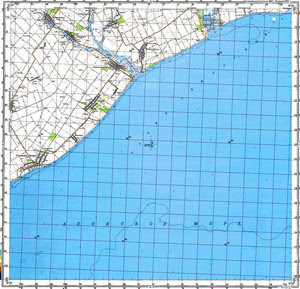 detailed map of Stepanivka Persha calibrated this. detailed map of Prymorskyy Posad calibrated for gps. topographic map of Petrovka и OziExplorer calibration here. interesting map of Novo-Troitskoye for Garmin. topographic map of Novo-Konstantinovka with gps calibration here. interesting map of Nechkino with gps calibration download for free. actual map of Mironovka и OziExplorer calibration for you. free map of Georgiyevka for Garmin. detailed map of Divnyns'ke for gps. interesting map of Chkalovo calibrated here. free map of Belorechenskiy for Garmin.